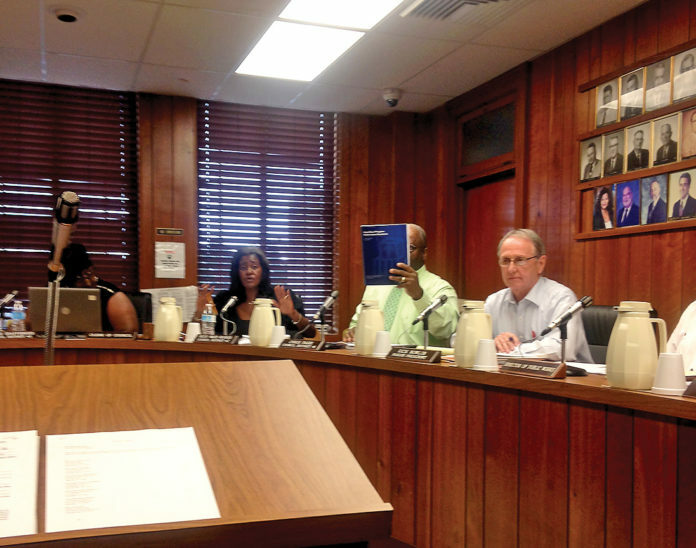 Parish Government department heads reported expenses during October during the October Parish Council meeting Nov. 20. Parish government paid $50,009 in October to house 182 male inmates at the Natchitoches Parish Detention Center according to the report Debbie Miley presented at the Parish Council meeting Monday. The Parish paid $930 for 22 women at the detention center. The Parish paid $9,178 for 21 inmates at Richland Parish Detention Center. Of the 182 inmates at the detention center, four have been there since 2015 and eight have been there since 2015. Year-to-date through October, Parish Government has paid $554,356 for male adults; $55,155 for youth; and $95,611 for women. Parish Government has paid detention center arrears from $719,223 in January of 2017 down to its balance at the end of October of $669,223. The Parish Government General Fund has also covered coroner expenses. Year-to-date at the end of October, the Parish had paid $68,750 in expenses with $6,250 remaining of the budgeted amount of $75,000. The autopsy fund has spent only $12,812 through October, of its budgeted $35,000. The budget balance is $22,188. Interim Director of Public Works Earl Townsend’s report said that his department performed 306 jobs during October. That represented: • 1,037 feet done •196 miles •$95,492 equipment expenses •$63,870 in materials •$40,209 labor •$199,571 total expenses In District 2, the department graded 3.6 miles of roads; 96 miles in District 4 and 96 miles in District 5.